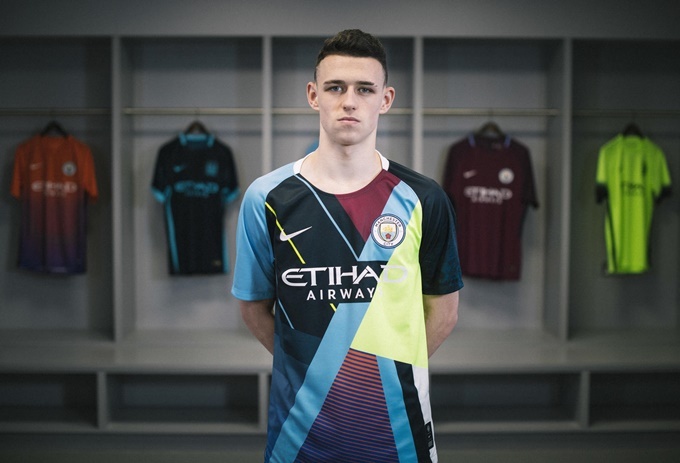 To celebrate their six-year anniversary, Man City and Nike have decided to keep the flame burning by splicing things up in the dressing room. As is clearly the done thing these days, the pair have created a celebratory mash-up shirt featuring nine kits from 2013 onwards. “My personal favourite is the home jersey from last season. I made my debut wearing that, so it means a lot me,” Foden said. The spliced shirt will be worn in public for the first time before Man City’s trip to Fulham in the Premier League this coming Saturday. Individually numbered (1 to 6,000) replicas will then go on sale from the Nike webstore and other selected retailers from 10th April. Do you know what? 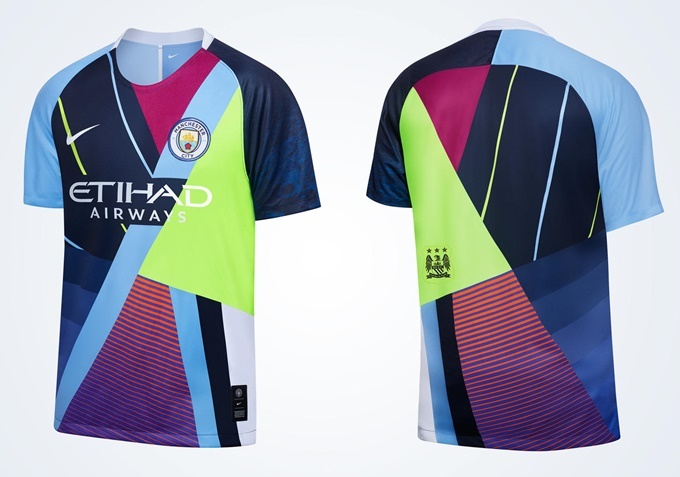 Given some of the lurid shockers that Nike have saddled City with over the past few years, they really don’t look too bad once mangled together. It’s definitely retina-seering stuff, but with a faint Bladerunner-esque ‘neon future hellscape as imagined in the early 1980s’ vibe. who tf celebrates a 6 year anniversary?